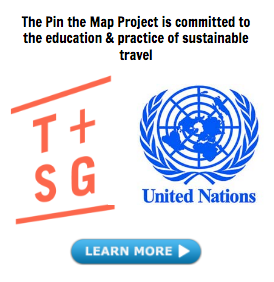 Every once in a while, The Pin The Map Project turns towards the travel community to highlight the stories of travelers, writers, photographers and bloggers for our Traveler Series. 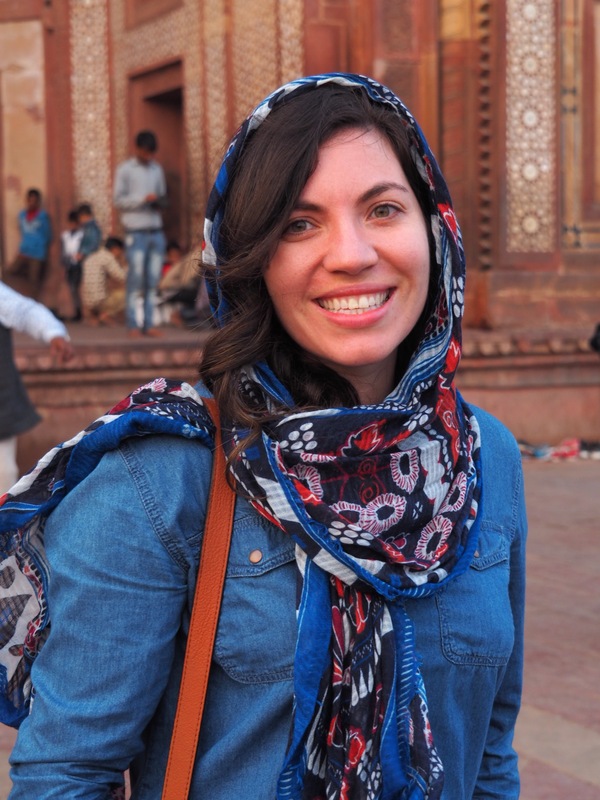 For this interview, we reached out to Katie MacLeod who is a journalist and travel blogger with a passion for writing, politics, travel, and a good cup of coffee. When she’s not busy with her day job as a journalist, she’s out exploring everything the world has to offer–from climbing the Great Wall of China to road tripping along the coast of California, and writing about it on her award-winning travel blog, Stories My Suitcase Could Tell. Here, Katie shares what inspired her blog, her best travel advice and what’s next for her in 2016! Everything! Politics, culture, history, food… I like to experience cultures and countries for myself, first-hand. It sounds like a cliché but travel really does open your eyes to everything the world has to offer. It’s a wonderful way to learn and connect with other people, and to realize that in the end, we all have a lot more in common than TV and textbooks might have us believe. For those who don’t yet know you, can you explain your travel style? When I travel, I tend to stay in a mix of boutique hotels, rental apartments, and friend’s guest rooms (or couches!). I use the term ‘travel’ broadly too and embrace local travel as often as I can. Sometimes all you need to do to refresh your perspective is to check out somewhere new in your city, go on a road trip to the next town or splurge with a long weekend somewhere that’s only a few hours away. Saving while at home and making travel a priority. Whether I was teaching English in China or working as a features writer, I’ve always worked, fitting in my adventures around the nine-to-five or other commitments. Where has been your favorite destination, and why? That’s such a difficult question to answer (I think I answer it differently each time I’m asked!). I’ve loved different destinations for different reasons. 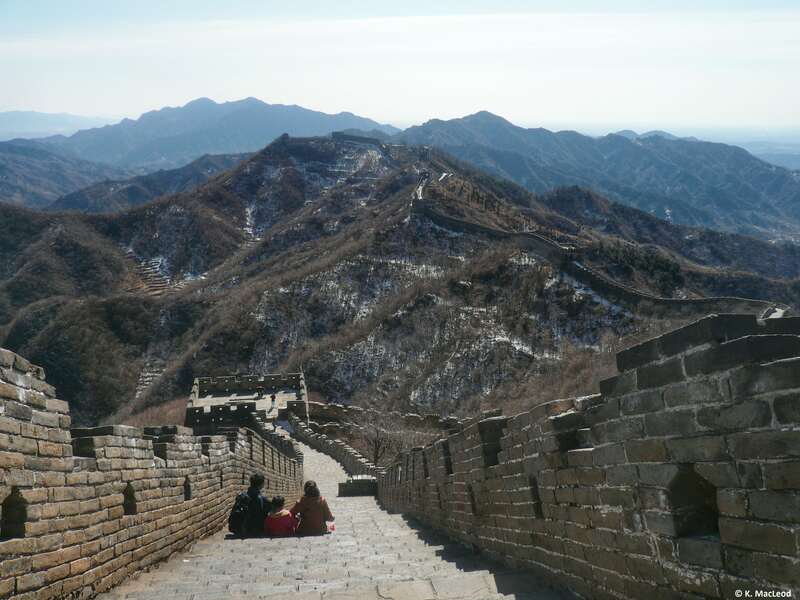 Kenya, Paris, and the remote Scottish island of St. Kilda are all very high on my list, but I’ll always have a soft spot for China, where I lived for a year after graduation. In comparison to the UK, it’s the most culturally different place I’ve ever been to; everything that I had thought was ‘the way to do things’ was turned upside down, and I think that’s a good thing. I had to learn very quickly to adapt and make the most out of the experience; by the end of the year I could get by in Mandarin, and empty a bowl of noodle soup with chopsticks in no time! It’s also where I met an American guy at a street food stall, who I traveled with through three more countries, got engaged to in Tokyo and married here in New York – so it’s safe to say my time in China has had quite a big impact on my life! If you had to settle down in one location forever, where would you choose, and why? My husband and I are currently in the NYC area. There is so much to do here that you can never get bored and I absolutely love it – but all the same, I’m not sure if I’m quite ready to say we’ll live here forever. The world is a big place, after all! What’s the funniest or weirdest cultural idiosyncrasy you’ve ever witnessed or experienced? When I first moved to China, I was really shocked to see that babies and toddlers wear split trousers – trousers with a hole in them so they can go to the toilet anywhere, even on the street. I’ve heard various reasons for it, ranging from mothers being more attuned to their babies needs because of it, to the prohibitive expense of diapers for the majority of families, but either way, it took some getting used to! What keepsake do you have to get at all your destinations? I always buy a postcard from every place I visit, and usually end up with a whole host of other trinkets too, like the Kokeshi dolls I brought back from Tokyo, or the decorative hand carved bowls I found in Mombasa. How about the one thing you cannot travel without? I’m a journalist, so it’s a force of habit to never leave the house without a notebook and pen. I know it’s old-school, but you just can’t guarantee your phone or iPad will have enough power to record that conversation with a city local, or type up those notes about that cafe with the amazing coffee. Have you ever travelled solo? If yes, what was the experience like? I moved to China by myself to teach English, but I met a group of wonderful fellow teachers almost immediately, so I don’t really count that as ‘solo’ travel. Last winter I went to Amsterdam by myself for a few days, though, and I really enjoyed it. 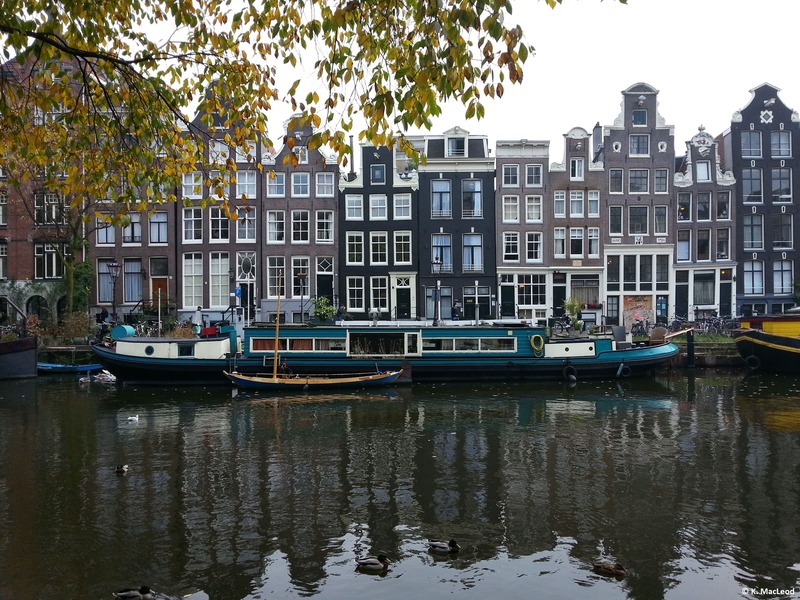 I loved being able to explore on my own timetable, take as many photos as I wanted, and eat when and where I felt like it (Dutch apple pie for breakfast, please!) without having to consider anyone else. I have to admit, though, that I prefer having someone to share the experience with, and to reminisce with in the months and years afterwards. A friend introduced me to Citymapper while I was in Montreal recently and I’m obsessed! It’s a handy sidekick to Google Maps: this app tells you exactly how to get where you’re going, which is useful when you’re an hour away from the nearest subway and have no idea what the bus schedule is. What is the best piece of travel advice you’ve picked up over the years? To be patient, and to take each day as it comes – when you’re traveling, it really helps to expect the unexpected. Maybe your bag hasn’t made it onto the same flight as you, or your train is late, but since there’s not a whole lot you can do about it in the moment, it helps to stay calm (and in the case of a missing bag, be prepared and take a change of clothes in your hand luggage!). Why did you begin your website? How did you come up with your website name? 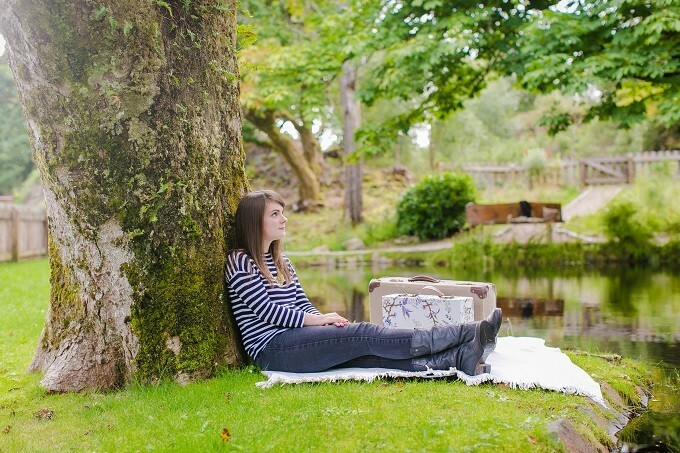 I know it’s sacrilege to say this in the blogging world today, but I didn’t give my blog much thought when I started it back in 2011 – I simply wanted somewhere to indulge in my love for writing and travel, and so Stories My Suitcase Could Tell was born. It’s come a long way since then, and since I’ve always loved storytelling, and my suitcase is always ready to be packed at a moment’s notice, the name Stories My Suitcase Could Tell seemed to suit my passions perfectly. What is your best piece of advice to budding travel writers looking to start a blog or website? Enjoy it! Blog because you love it, and that will be reflected in your content. Whether your focus is photography or writing, you really need to enjoy doing what you do, because blogging involves a whole lot of work behind the scenes, from taking and editing photos to proof-reading articles and promoting everything on social media, not to mention networking online and off. First up will be a return trip to Scotland (where I’m from) in the Spring, to reunite with family and friends (and eat all the foods I can’t get while living on this side of the world). I’m a bit of a last-minute traveller, so while nothing else is set in stone yet, I’m working on some exciting plans for the rest of the year! 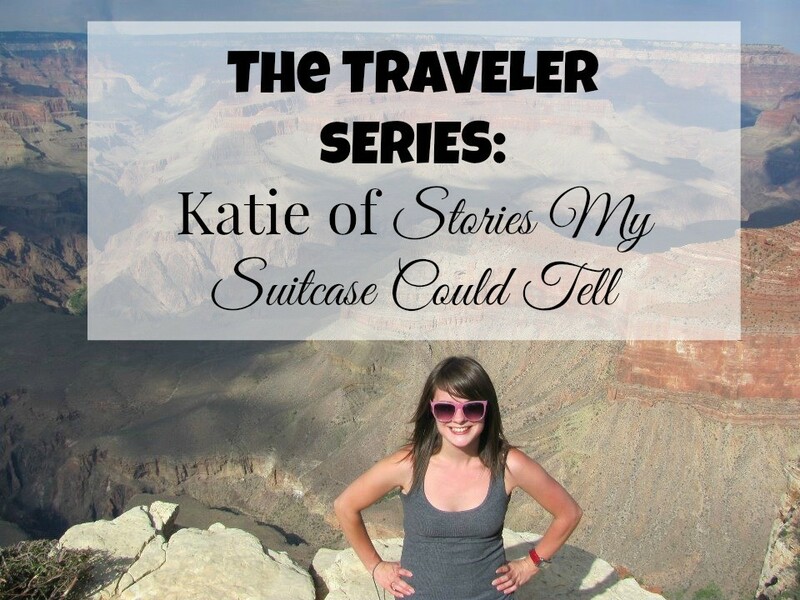 Follow Katie and her adventures on her Instagram and Twitter and make sure to read the interviews from other amazing travelers in The Traveler Series!